Troop 50 returned to its regular meeting schedule this past Monday evening after a mid-summer break. During June and July, the troop had a Court of Honor, a week at summer camp, and several scouts who participated in a couple of community service opportunities. All in all, it was a good summer, despite the heat. Our summer court of honor took place on Monday, June 6, as parents and scouts gathered at the First Presbyterian Church. After a meal of BBQ and numerous side dishes, the troop awarded thirteen rank advancements and twenty-nine merit badges. New leadership for the troop was sworn in for the summer/fall term. Creighton took over as the new Senior Patrol Leader with Louie as his Assistant SPL. Veterans Josh and Nicky assumed the mantle of leadership as the Patrol Leaders for the Mountaineer and Eagle patrols respectively. Trey and Carl were chosen to serve as assistants for Josh and Nicky. Everett is the new Lead Troop Guide with Liam working with him as Lead Instructor. Michael takes over as the new Troop Quartermaster. Ethan will work as an Instructor and Jason will reassume his previous role as the Historian. Aiden will continue in his role as Chaplain's Aide. Other scouts will take on new positions of responsibility as the fall troop meetings begin. The Court of Honor also recognized Louie and Creighton for their attendance at National Youth Leadership Training with the Greater Alabama Council and Nicky was honored for his service as the outgoing Senior Patrol Leader with the presentation of an SPL neckerchief slide. Nicky proudly wears his new SPL neckerchief slide after the presentation from Mr. Baird. The Court of Honor also saw the presentation of the annual James J. Baird, Jr. Honor Scout Award, which was first presented in 2015. The award honors the memory of Jim Baird, a longtime leader in the First Presbyterian Church and the Auburn Rotary Club (which charters the troop). He earned his Eagle rank in 1945 and was a life long supporter of Scouting. The church honored him by naming the gymnasium after him and the troop perpetuates his memory with this award. The recipient of the award is chosen based on advancement, participation, service hours, leadership, and a vote of his peers. The award comes with an Eagle statuette and a one hundred dollar donation to the scout's account. The 2016 award was presented to Life Scout Louie, who has previously served as the Senior Patrol Leader, Lead Troop Guide, and currently as the Assistant SPL. The award was presented by the scoutmaster, who is also Jim Baird's nephew. Mr. Baird with Louie and his parents, Bob and Dianne. The week at Skymont Scout Reservation ended well with the twenty-one scouts who attended camp having earned a total of sixty-two merit badges. In addition to the numerous other activities, Aiden earned his Chaplain's Aide award by completing the camp's duty to God program. Luke, Tyson, and Paul participated in the Polaris Program, which saw them complete a number of requirements towards Tenderfoot, Second Class, and First Class ranks. They also earned First Aid and other merit badges along the way. 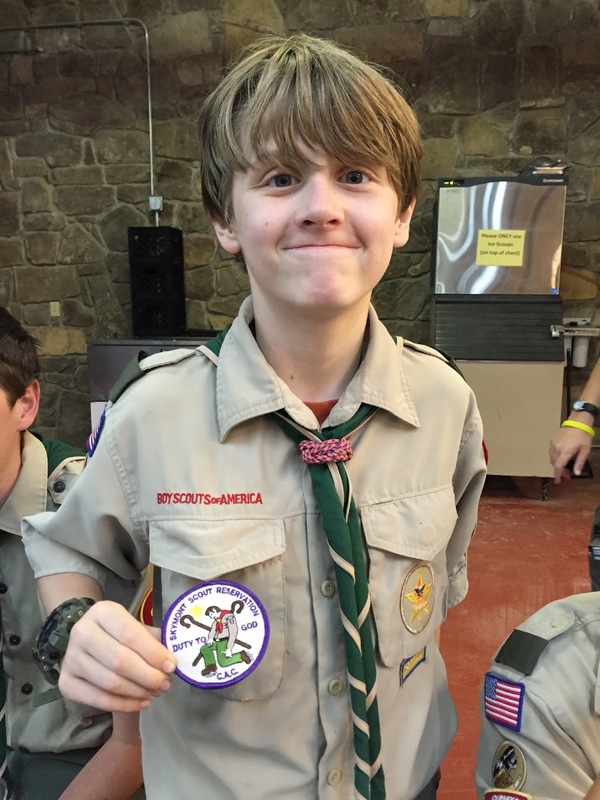 Louie received the Orion Scout Award for his participation in a number of activities such as the mile swim, climbing, geocaching, and the troop service project. Overall, the troop was honored with the Montosky Moccasin Award, which recognizes troops for their advancement, campsite inspections, service, and scout spirit. We earned a total of 1000 points out of a possible 1250 to earn the award. The scouts pose with the Montosky Moccasin Award (not the flamingo) before heading for home. Luke, Paul, and Tyson with their Polaris patches. Aiden shows off his Chaplain's Aide Award. 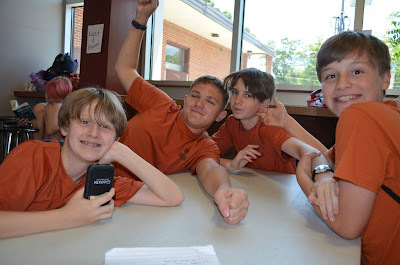 Not long after we returned from camp, eleven of our scouts participated in staffing the Auburn Police and Fire Departments' DARE Camp at Auburn Junior High School from June 27 to July 1. 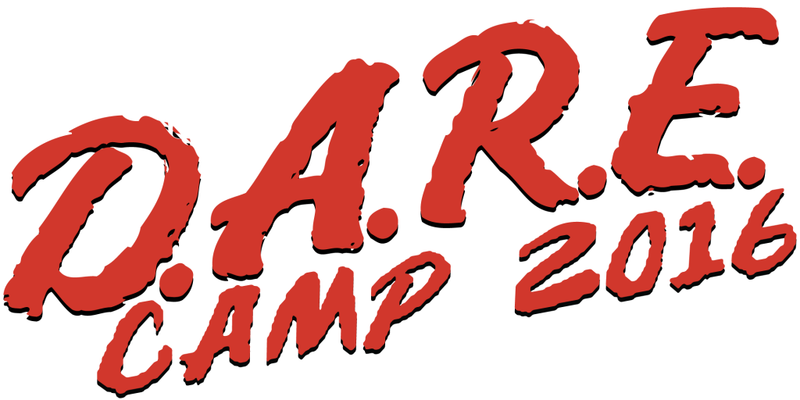 The camp is designed around the DARE objective to help kids resist drug, alcohol, and tobacco use. Nearly 200 campers, aged 10-11 years old participated in a camp that celebrated heroes as its theme. Participants spent the week hearing presentations from various speakers, viewing demonstrations by the police and fire departments, and enjoying swimming and other fun water activities. Under the direction of Officer Bill Schallock, our eleven scouts collectively contributed 276 hours of service to the camp. Later in the summer, three scouts also worked to man an activity booth for the National Night Out program at the Auburn Housing Authority. This added another ten hours worth of service to the community. Aiden, Liam, Ethan, and Joe show their enthusiasm for DARE Camp. On August 3, troop leaders met with the Auburn Rotary Club as part of their regular Wednesday lunch meetings. It has become an annual visit to inform the members about the state of the troop that they sponsor. In addition to a presentation by the scoutmaster about all of the great activities involving the troop over the past year, Rotary members also heard from two of the troop's latest Eagle Scouts, Davis Tullier and Kyle Sullivan. Both scouts spoke about their Eagle projects, describing how they were planned and accomplished. The presentations were accompanied by a slideshow that showed off their hard work. Earlier blog posts "The Gift of Music at Pick Elementary" and "Trailblazing Toward Eagle" chronicle Kyle and Davis' projects. In describing the troop's commitment as part of its mission statement, the scoutmaster noted that between Eagle projects and other efforts at community service, the troop has collectively worked 845 hours so far in 2016. This contrasts with the 766 hours of service the troop gave in all of 2015. Troop members at the Auburn Rotary Club presentation: L to R, Davis Tullier, Andrew Baird, Rob Stanford, Michael Tullier, and Kyle Sullivan. In addition to serving as our Chartered Organization Representative, Michael Tullier is also the current president of the Auburn Rotary Club. As we start our fall meetings, the troop has much to look forward to. In addition to some great program and camping opportunities, we will be assisting with several more Eagle projects in the coming months. This weekend we will celebrate Davis and Kyle with a double Eagle Court of Honor and on Monday, our August Court of Honor will award all of the summer camp merit badges and the rank advancements that resulted from all that hard work. Onward we go.